At this year’s AGMA Annual Meeting we honored one of the biggest cheerleaders that AGMA and the gear industry have—Mr. Frederic Young. Fred grew up in the gear industry. His parents, Stetler and Evelyn, started Forest City Gear when Fred was 11 years old. As a boy Fred would help out around the shop, doing everything from cleaning the chips out of the oil sumps, to washing and centering motor shafts, to cutting gear teeth. Fred continued to help the company through high school and college, before he joined the Navy. After two years on the ship, Fred came home to cut some gears while he “figured out what he really wanted to do.” Apparently, he’s still trying to decide what he really wants to do, because he and Forest City Gear are still thriving, even sending gears to Mars. The company is truly a family affair—his wife, Wendy is now president of the company, his daughters, Appy, Kika and Mindy have all had roles with the company, and now his son in law Rustin Mikel is heavily involved in the company too. It’s a testament to Fred’s business and personality, that you don’t even need to say his last name—like Bubba or Tiger—everyone knows who you mean when you just say Fred. Fred is always willing to lend a helping hand to those interested in the business, whether it’s giving a tour of his facility, explaining his business model, or inviting people to his personal trout stream at the house. Fred’s personality is always upbeat and it even comes through in his advertisements—he’s been shown as Santa, deer hunting, and of course, fishing. Beyond helping those that are currently in the industry, Fred has been active in training the next generation of gear manufacturers. Forest City Gear prides itself on mentoring of high school students who work part time while attending school, hiring summer interns who are attending college to expose them to the demands of manufacturing, and encouraging current employees to advance their knowledge of mathematics, science and technology. With AGMA, Fred has been a very active member for more than 25 years. 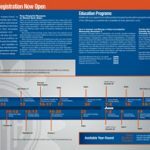 During which time he has served as: AGMA Chairman, Chairman of the Foundation, a member of the Board of Directors, the Education Council, the Nominating Committee, the Awards Committee, the Strategic Planning Committee, the Marketing Council, the Membership Committee, the 60th Anniversary Committee, and the Small Business Council. 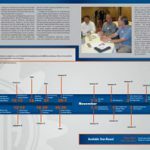 Additionally he has reviewed the technical papers AGMA publishes, received the Past Presidents Award, Board of Directors Award, Old Goats Award, and the Administrative Division Executive Committee Award. However, his greatest contribution to AGMA has been as its ambassador throughout the world and at the over 150 meetings and conferences that he has attended. So for all of these reasons and many more, AGMA present Fred Young with the highest honor we have, the Lifetime Achievement Award. Thank you Fred, for everything you have done for AGMA, and the industry. During the 2014 AGMA Annual Meeting, several members were recognized for their achievements over the past year. Seven members of the Education Task Force were recognized for their work on the AGMA Skills Assessment Tool. Released in 2013, the Skills Assessment Tool allows members and others in the industry to set standards for a variety of skills and abilities and for several broadly defined job titles. The tool – an Excel sheet – allows employers to assess each employee’s proficiency in each skill. It also allows the employer to set a minimum score and automatically determine where each employee needs additional education or training. The tool is available for free on the AGMA website, www.agma.org. The Skills Assessment Tool is an important achievement for AGMA, and would not have been possible without the dedication of the Skills Assessment Task Force. The BMEC Award is presented to individuals who have made noteworthy efforts to enhance the art of management in the gear industry. In that spirit, AGMA recognized the members of the Education Task Force with individual BMEC awards for their dedicated work developing the Skills Assessment Tool. The award was presented to: Jeff Reynolds of Rolls Royce Corp.; Briggs Forelli, president of Precision Gear; Bob Maggetti, director of engineering from the Triumph Group; Tom Marino, president and CEO of Gear Technology; Rustin Mikel, director of corporate marketing for Forest City Gear; Bill Miller, VP of Sales for Kapp Technologies, and Bob Sakuta, president of Delta Gear. Also at the Annual Meeting, AGMA recognized an up and coming leader in AGMA with the Next Generation Award. Scott Knoy truly embodies the words Next Generation, as he grew up in the industry with his father, Jerry Knoy working at the Gleason Corporation and followed in his dad’s footsteps, joining Gleason Cutting Tools. Scott began his career with Gleason as a regional sales manager where he was the key contact for clients such as TRW, Ford Motor Company, General Motors, Dana Corporation, Parker-Hannifin, and General Electric. Following his time at Gleason, Scott joined German Machine Tools of America, where he now serves as vice president of sales and marketing. He has had an impressive career at GMTA so far, leading negotiations which gave the company a “single source” relationship with General Motors Powertrain, introducing and selling new technology into Ford Motor Company in France and China, and planning and opening a GMTA office located in Queretaro, Mexico enabling a local solution for parts, service and sales. With AGMA, Scott is active with the Strategic Resources Network, and has been coming to the Annual Meeting, Gear Expo and other AGMA activities for many years. AGMA’s proud to honor Scott Knoy with this year’s Next Generation Award. This award honors individuals who are emerging as contributors, innovators, and leaders in the gear industry and serves as an incentive for others in the next generation of gear industry talent. 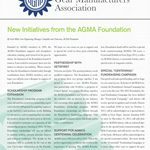 Organizations like AGMA would not be able to exist and continue to thrive without the support of the members, and this year AGMA recognizes a company that has been a member of AGMA for 50 years. Progressive Engineering Company is a precision gear and machine parts manufacturer. Established in 1923, the company has celebrated many years of service, and joined AGMA in 1964. The company provides “job shop made to order parts” for many Fortune 500 companies, manufactures, parts companies, and metal processors in the Richmond area and throughout the United States. PEC also rebuild gearboxes; have the largest surface grinder in the area, and a full complement of CNC and manual machines for general machine parts production. In 1992 an Ion Nitride Heat Treatment department was added to provide low distortion hardening of high quality parts in order to reduce cost and increase the life of machine parts. In 2001 PEC expanded with the addition of Progressive Heat Treating Co., a commercial heat treating company that specializes in plasma ion nitriding, vacuum hardening, oil hardening, induction hardening and carburizing. President Mel Belcher from Progressive Engineering Company accepted the 50-year award on the company’s behalf during the 2014 AGMA Annual Meeting. 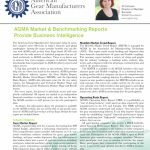 The AGMA membership continues to grow—with 11 companies joining the Association in the past four months. AGMA now represents more than 470 companies in 30 countries. To find out more about these companies, visit their websites which are listed below. To find out more about AGMA and how membership can benefit your company, visit www.agma.org or e-mail membership@agma.org. Sarah Tedesco, President of Ashford Consulting, is an engineering consultant specializing in material selection, process optimization, failure analysis and cost reduction in carbon steel sheet, bar, spring steel stampings and wire components. She received her Bachelor of Science Degree in Materials Science and Engineering from the University of Michigan. BMT Buderus Stainless GmbH is located in Wetzlar, Germany, and is one of Germany’s leading producers of high-grade special steels. All stages of production, from melting through to the final product, are conducted in-house. All stages of production, from melting through to the final product, are conducted in-house. This total control is a key factor in our outstanding success in the marketplace. This total control is a key factor in our success in the marketplace. For our valued global clientele it means capability, responsiveness and flexibility in meeting their requirements. For global clientele it means capability, responsiveness and flexibility in meeting their requirements. Hangzhou Kan-Lan Heavy Industry Co. Ltd.
Products: gear products: bevel gears-straight, face gears, helical gears, internal gears, master gears, planetary gears, spur gears: gear boxes: bevel (1 to 10kW) 1.34-13.4 hp., bevel (Over 10kW) >13.4 hp, gear units, planetary and epicyclic drives, variable speed: related products: control systems, splines: machine tools: bevel gears, grinders, hard broaching, hobbers, honing of gear flanks, shapers: gear materials: iron: services: assembly, break down/emergency, design, engineering, failure analysis, gear finishing, gear repair/gear unit repair, heat treatment, research and design, services, spline rolling, testing. Mondek Solutions is a business logistics company committed to providing you with solutions that drive your business forward. With a wide variety of logistics services available for our clients, we strive to provide you with the highest-quality solutions to ensure that your business’ operations, structure, and other various components are targeted for current and future success. 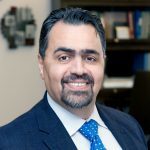 Our company is led by Matt Mondek who has over thirty-six years of experience in executive level leadership and technical positions in many different businesses. Along with the rest of our staff, we possess a variety of skills and talents that allow us to form comprehensive solutions for your company. NORD Drivesystems is one of the world’s leading manufacturers of drive technology for mechanical and electronic solutions. The range of products includes constant speed reducers, gearmotors, industrial gear units, AC vector drives, motor starters and frequency inverters for decentralized control. Ovako is a European producer of engineering steel for customers in the bearing, transportation and manufacturing industries. Our production is based on recycled steel and includes steel in the form of bars, tubes, rings and pre-components. Ovako’s long experience of working closely with some of the most demanding steel segments has conferred it with unique expertise and competitive advantage in selling engineering steel with advanced characteristics. Located in Fort Mill, SC. Located in Thiviers France P. Terry and Associates is a consultancy with focus in metallurgy, failure analysis, and metallurgical training. Radiac is a manufacturer of Conventional Bonded and Superabrasives in North America. Acquired by Tyrolit Abrasives in 2009, Radiac is your North American company for high performance Tyrolit brand products for the Automotive, Bearing, Aviation, Cutting Tools and Primary Metals Industries. Unsurpassed expertise in Gear Grinding and Large Diameter Cut-off wheels up to 2 Meters round out Tyrolit’s vast capabilities available from your Radiac Team. Radiac Abrasives has three U.S. manufacturing locations: Salem IL, Oswego IL and Marysville WA. As a full line producer of grinding wheels, Radiac offers more than 50,000 precision built products of high quality, performance, and repeatability for virtually every manufacturing application. The company provides gear design, optimization, and training for large and small appliance manufacturers, first and second tier automotive companies, medical devise manufactures, design organizations that require specific gear design assistance. Works with a wide range of gear types as facilitated by KISSsoft software and designed using international standards. The work is primarily high volume production in the fine pitch range. Among the services provided are metal to plastic gear conversions, plastic gear design, reverse engineering, design analysis, quality assessment, and noise reduction. Located in Lombard, IL. Toledo Gearmotor is an American manufacturer of right angle worm gear reducers, inline parallel shaft gear reducers, gearmotors, gearboxes, and custom solutions. Located in Sylvania, Ohio TGM has been providing quality products at competitive prices to the Agricultural, Door, and Commercial industries since 1948. 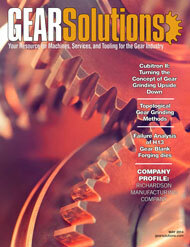 Over 60 years of experience and thousands of gearmotor applications. TGM also offers full engineering and machining services that can accommodate particular applications.